London's best-kept beauty secret, Fenwick of Bond Street have got a seriously good gift with purchase launching today. Part of their 'Here I Am' campaign, which celebrate the words founder JJ Fenwick said after arriving on Bond Street in 1891 to open his ground-breaking store, the beauty gift is worth over £250 and is available when you spend £200 or more in store on beauty products. 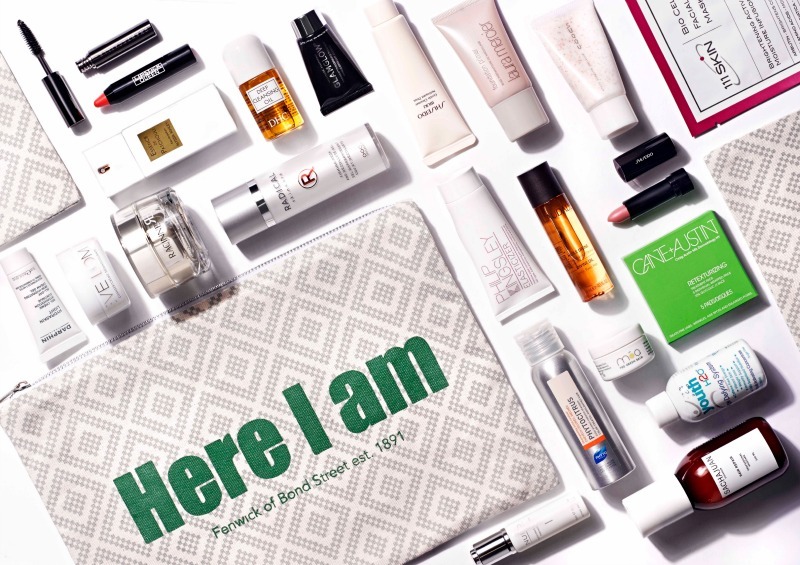 Inside the gift you'll find 24 products from right across their beauty halls, plus a specially designed makeup bag, which has been designed by artist Andrei Robu, featuring the iconic 'Here I Am' phrase. All in all I think this is a great gift with purchase. It's nice to see some different brands offered up and although £200 is a bit of an investment on the purchase front, it's a good time to stock up on favourites if you're running low. The GWP launches today and will be available until stocks run out. Sadly I don't think this is available online so looks to be a London-only thing, but if you're visiting, it's well worth paying a trip to the Fenwick beauty hall. Do you like the look of this gift with purchase?